The Potential Impact of a "Friday Night Impact"
Should WWE Do Away with Gimmick PPVs? 'Tis the season for gimmicky PPV names to go bye-bye? @BigJonDaLegend thinks so. Read more after the jump. Hell in a Cell, TLC, Extreme Rules, Money in the Bank. All of the above are PPV events based around gimmick matches. These matches have featured some brutal (yet exciting) matches in the past. On the flip side, these matches have featured some very bad bouts and lazy creative. I don't want to get rid of these matches completely--just the names of the PPVs. This year's biggest offender is the upcoming TLC: Tables, Ladders, Chairs...and Stairs PPV. Yes, WWE added a S, to include the first stairs match in WWE history between Eric Rowan and Big Show. That's an awful name for the PPV (Ed. Note: Not to mention a mouthful to say). Adding the name of the match adds no substance to the name of the PPV. We will still see a chairs match, a table match, ladder match and a TLC match. My point is if this PPV was named anything else it would still have the same set of matches. This year, WWE has changed from traditional PPV format to having them on their own network. The old and dated WWE logo has been changed to look sleek and trendy (Ed. Note: RIP Scratch Logo). Since everything that is old becomes new once again, how cool would it be to reintroduce the old school "In Your House" PPVs? Doing so would be a pleasant surprise for long time WWE fans--and give the WWE a chance to educate younger fans on the history of that event. December to Dismember could be brought back and still feature all of the schedule matches for TLC...Stairs (Ed. Note: As long as it's not as trash as 2006's edition, I'd be for it). 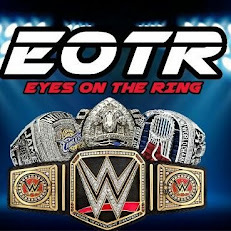 Outside of the big 4 events, every PPV could use some creative re-branding. The formerly February-exclusive Elimination Chamber PPV will be moved and that event [in February] will be called Fast Lane. Fast Lane doesn't have great appeal to it as maybe a King of the Ring PPV would. Perhaps WWE could bring back some of the old WCW events to help promote the network. The sky's the limit. WWE knows it's time for some creative re-branding lets hope that they wont be lazy and come up with something unique. With names like Fast Lane, though? I doubt it.